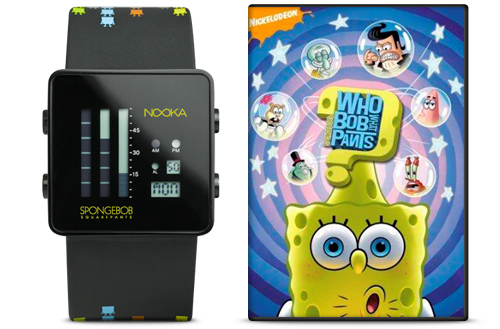 As part of the on-going 10th year anniversary celebration of SpongeBob SquarePants, Nooka and Nickelodeon teamed up to create three unique, limited edition Nooka timepieces. The collaborative watch will be available exclusively via the Nooka website. Beginning December 16th, any purchases of one of the three limited edition Nooka x SpongeBob watches will include a SpongeBob SquarePants DVD set. Quantities are limited, with only 50 of these special holiday packages available for sale to the US and Canada.